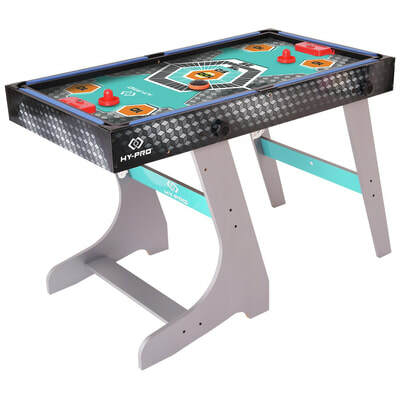 The Hy-Pro 8 in 1 table is crammed full of fun and games for the whole family to enjoy. 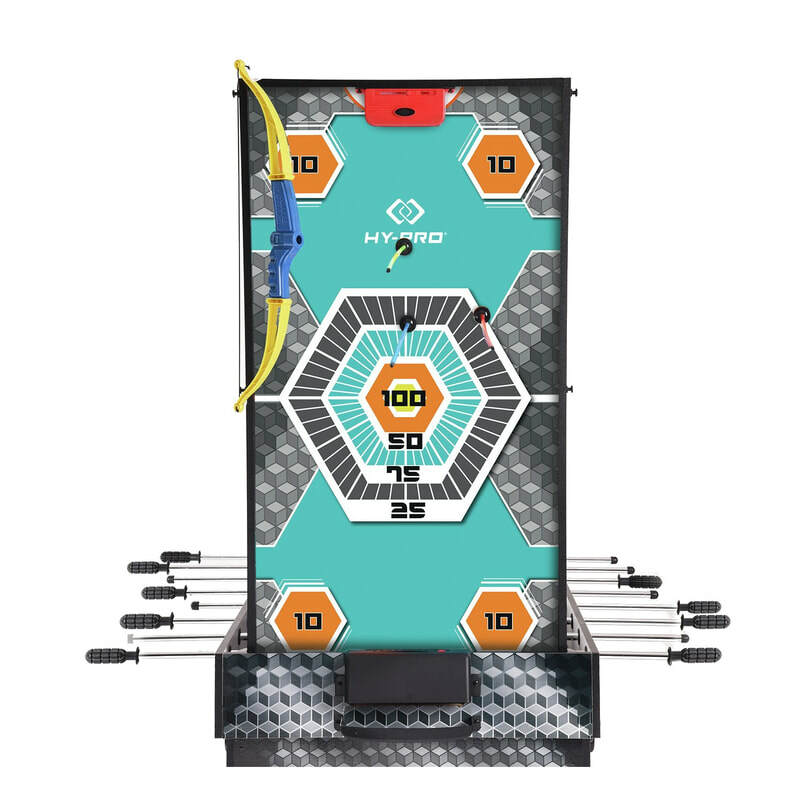 Take on all challengers and be crowned the ultimate multi game champion of your home! Whether you play one on one, in teams or practice your solo skills, each of the 8 games offers stacks of fun for players young and old All played out? Use the simple folding system to store the table upright to save space until next time. 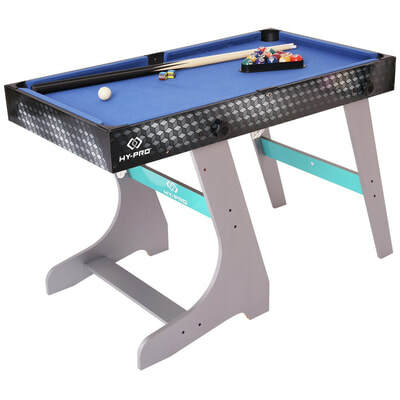 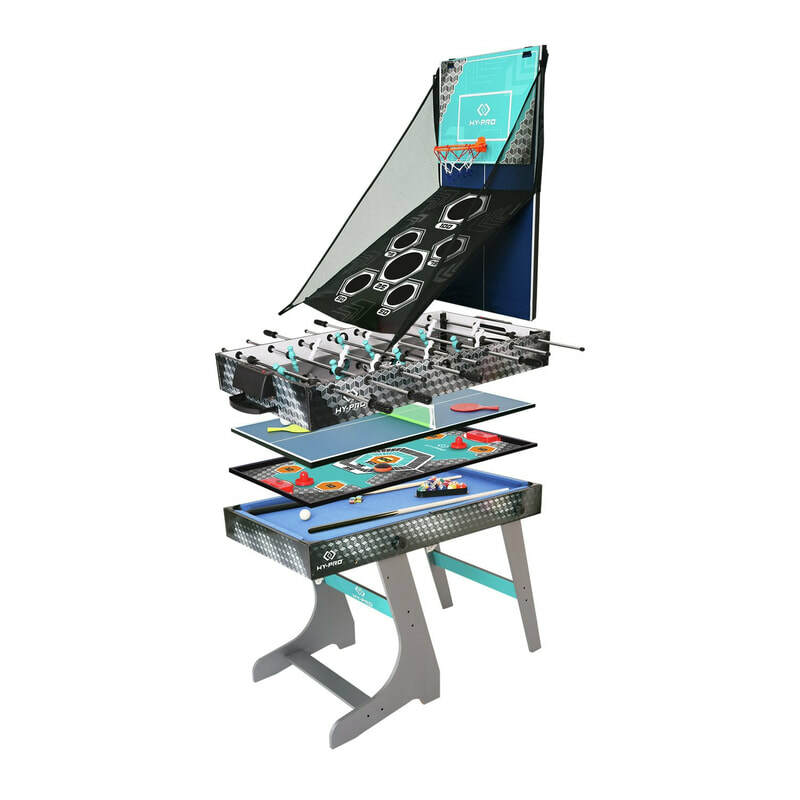 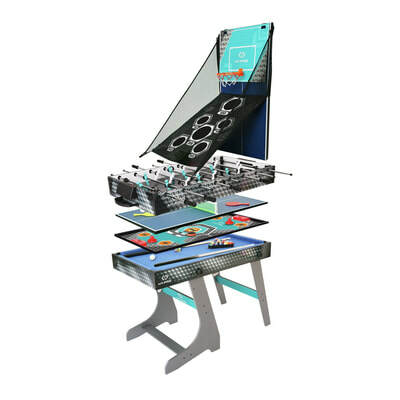 Loaded with 8 action packed games the Hy-Pro 8 in 1 table delivers heaps of family fun. 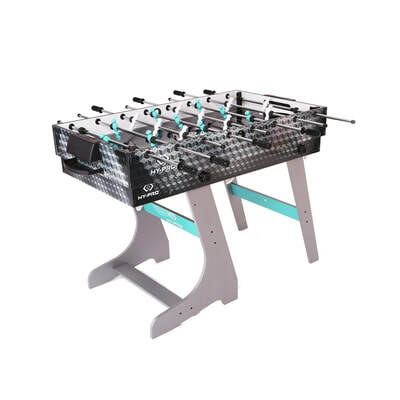 Play 1 on 1 Table Football, Table Tennis, Pool or Hockey. 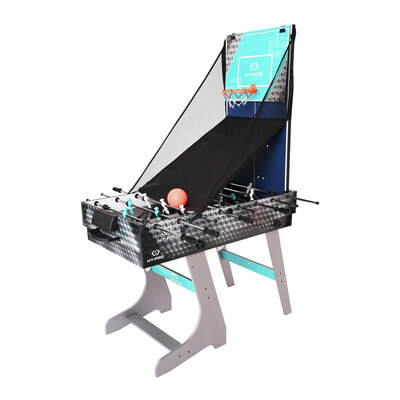 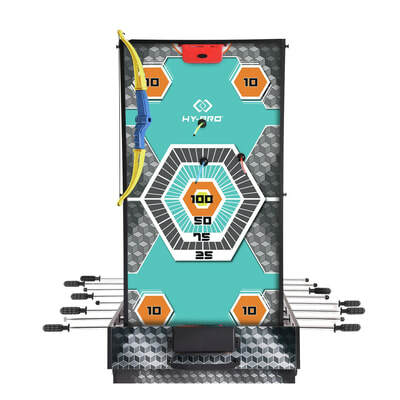 Take aim with Archery, Darts and Bean Bag Toss or become a superstar with the inbuilt basketball system. 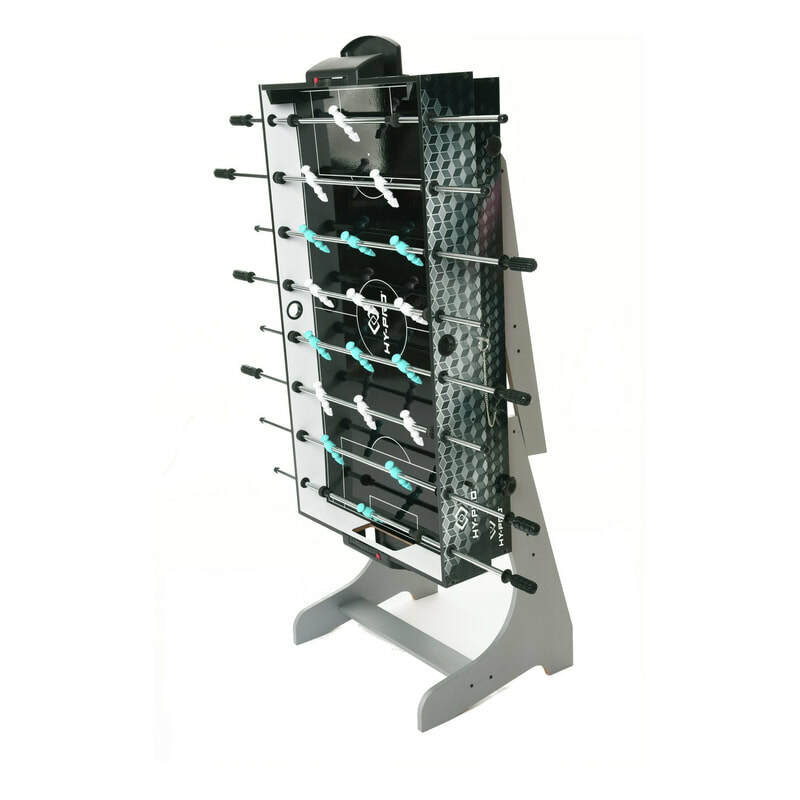 Ready for the next challenge? 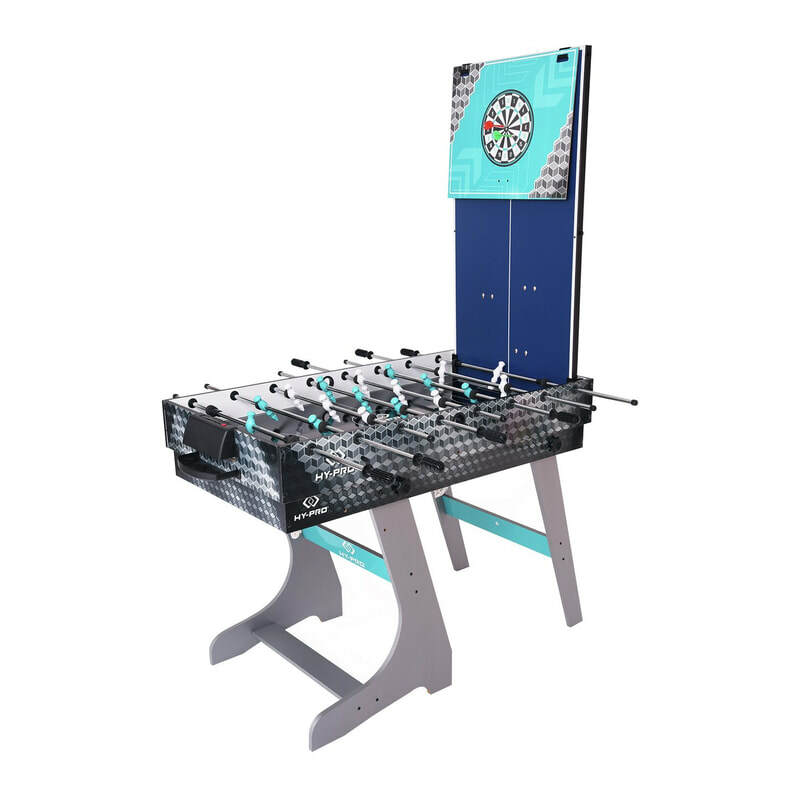 Games can be switched quickly and easily so the fun never stops for long. All played out? 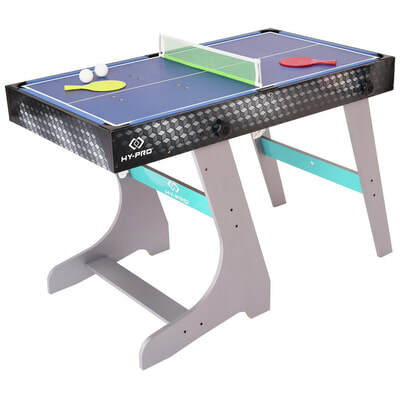 Use the simple and secure folding system to store the table upright to save space until next time.